Traditionally the synodic moon (1 lunation) is counted from the first visible cresent which is marked as the 1st day in traditional lunar calendars. In the matrix ive created below it can occur on the 2nd or 3rd day depending on conditions, and occurs within the 1st quarter. I mark the New Moon as the 1st day, plus each Half Moon, and the Full Moon, all start and are marked as the 1st day of their quarter of the cycle. 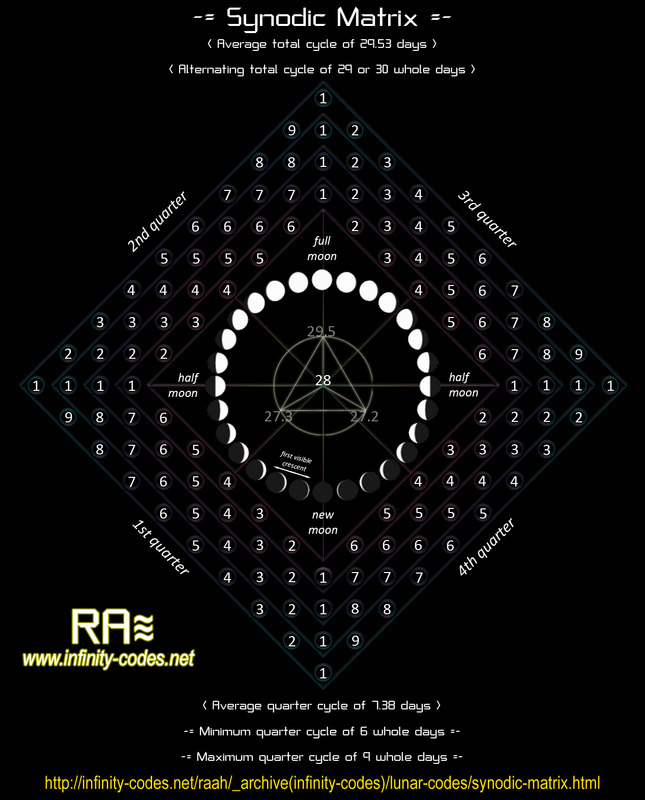 The synodic matrix table can also be used to track the alternating 29 and 30 day cycles that average at 29.53 days per lunation within lunar calendars.